Time for another photo interlude here at Wigwam. Due to technical difficulties with our on site slideshow app, we have created an album on google for you. I make my way across the Hudson River twice a day most days. 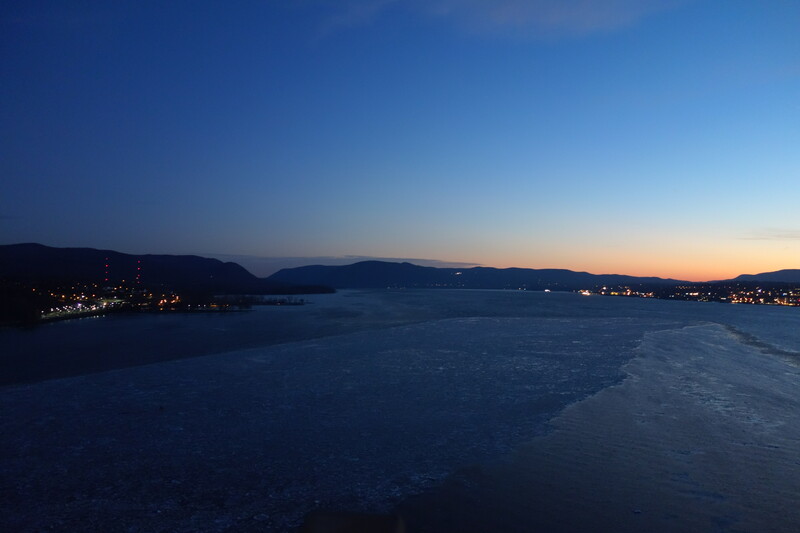 Last week, with sustained colder temperatures, the waters were finally showing signs of significant ice formation, especially on the shallower eastern (Beacon) shoreline. But a couple of days in the 50s and most of that has already disappeared. If the milder weather holds up, the ferry could see uninterrupted service this winter. Last year it was out of commission for almost 2 months. Also at least once a week I like to do the Beacon Loop Trail. Sometimes I’ll park and explore a section on foot. Mingled in with the shots from the bridge are a few pictures taken the last day of January from the shoreline near Dennings Point. Please click the link below to enjoy the photos! Nice picture! Looking at the river this year compared to how much ice was on it this time last year makes it hard to believe. Very strange weather! Mother Nature sure is strange. Thank you for sharing.